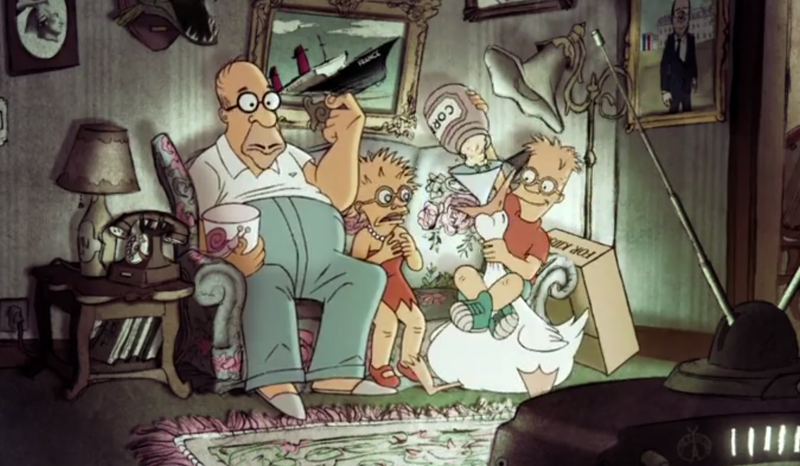 Triplets Of Belleville creator Sylvain Chomet has become the latest Hollywood notable to create a unique variation of The Simpsons ‘couch gag’ opening sequence. If you have ever seen a full episode of The Simpsons, or even the first 60 seconds of any episode across the series’ twenty-five year run, then you have seen at least one couch gag. It’s the bit tagged on to the opening sequence of the show that finds the family finally coming back together after running through the streets of Springfield to celebrate the end of work/school/band practice/grocery shopping. Chomet’s take is hilariously and perhaps fittingly French, with Homer eating snails while Bart makes his own version of foie gras. It’s silly and distinctively Chomet and as a result, absolutely perfect. You can view the clip below. The Simpsons finally return from their Olympic break this Sunday on Fox. We did not cover this when it ran, but it’s worth mentioning that every episode of The Simpsons will soon be available for streaming via FXX. Yes, FXX. Click here for more details.